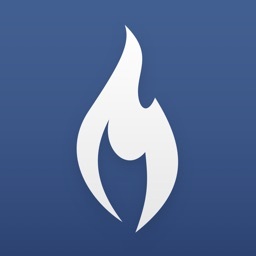 Fiery Feeds is a feed reader built for power users. Feed management. 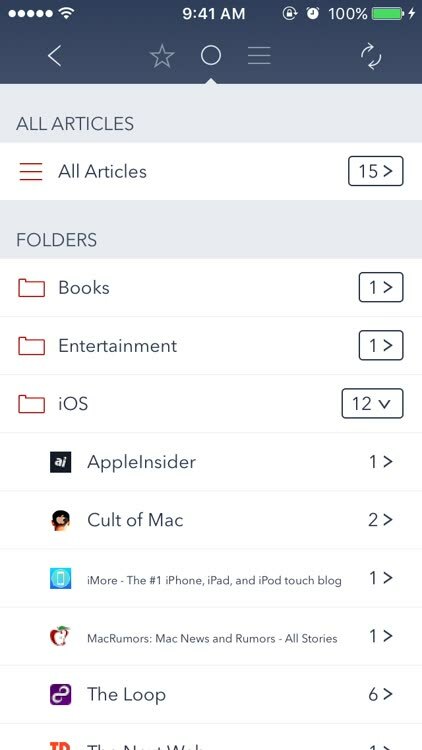 Subscribe to and unsubscribe from feeds, rename feeds and folders, create or delete folders, and move and update feeds right within Fiery Feeds. 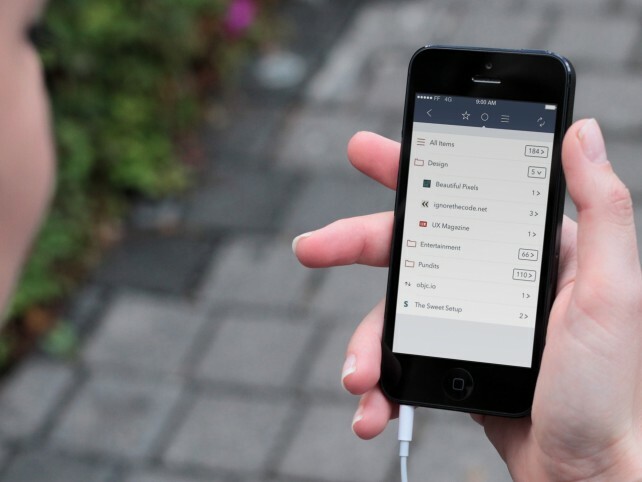 Just long-press on a feed or folder to bring up the contextual feed management options. Text readability. Viewing an article from a site that automatically truncates its feed? No problem. You can still fetch the full text of truncated articles and read it in a clutter-free manner by taking advantage of the app’s text readability feature. Custom URL and mail actions. 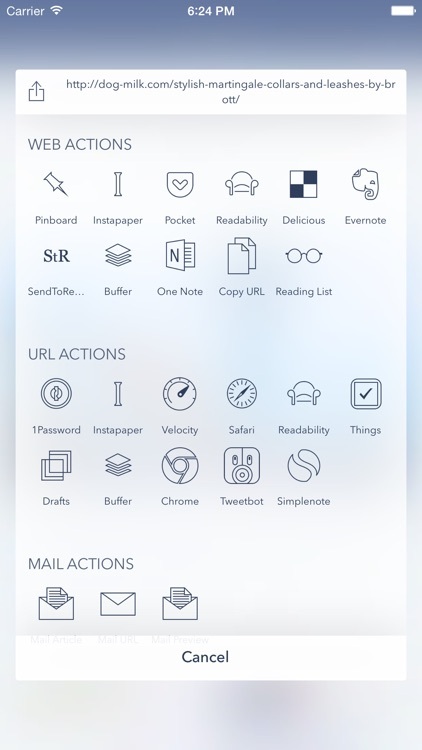 The app already has several common URL and mail actions. But if you’re so inclined, you can also create custom URL actions to send articles to other apps or create email templates to send them wherever and however you want. 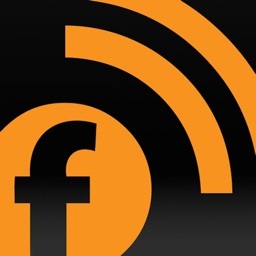 Fiery Feeds syncs with Feedly, Feedbin, Minimal Reader, Feed Wrangler, Fever, Feedja, NewsBlur, AOL Reader, Tiny Tiny RSS, Inoreader, Bazqux, and The Old Reader. 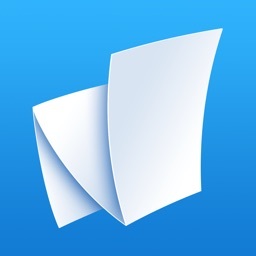 Additionally it syncs with the read-it-later services Pocket, Instapaper and Wallabag. 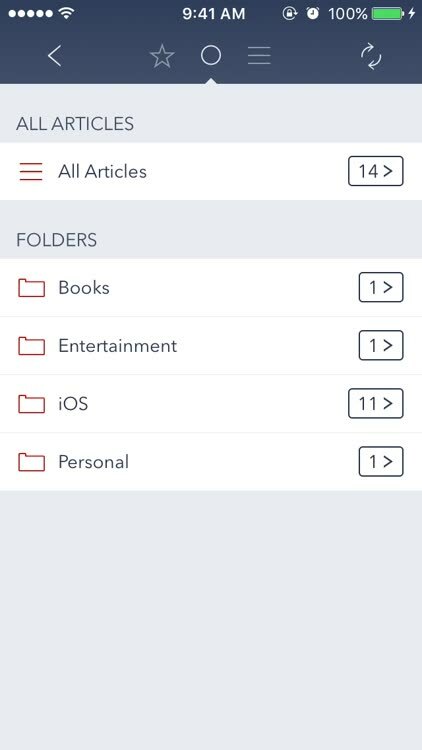 Included sharing services are Pinboard, Instapaper, Pocket, Delicious, Evernote, SendToReader, Buffer, OneNote, Copy URL, Messages, Safari Reading List, Copy Image, 1Password, Star Article, Twitter, Facebook. Fiery also supports sharing to other apps and websites using URL schemes that you can create yourself or install from the action directory and customisable email templates. You can subscribe to new feeds straight from Safari with the included extension. Fiery Feeds supports three different article view modes: Article, Web, Text. 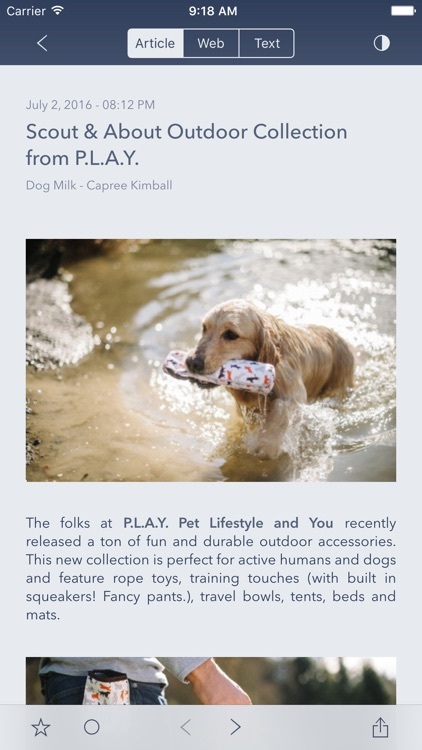 The selected article view mode is saved per feed. * Article displays the articles as it is contained in the RSS feed. * Web displays the linked website inline. * Text parses the website using Fiery Feeds’ server to display just the content. 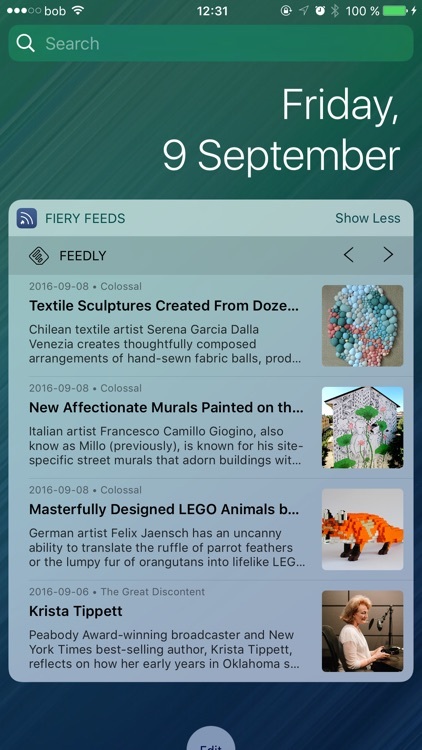 Fiery Feeds includes a Today Widget that displays the newest articles across all services, including preview images. Fiery Feeds fully supports external keyboards and keyboard shortcuts. You can navigate the entire app using only the keyboard if you want to. Every feature is accessible via VoiceOver. You can add as many accounts to Fiery as you like. 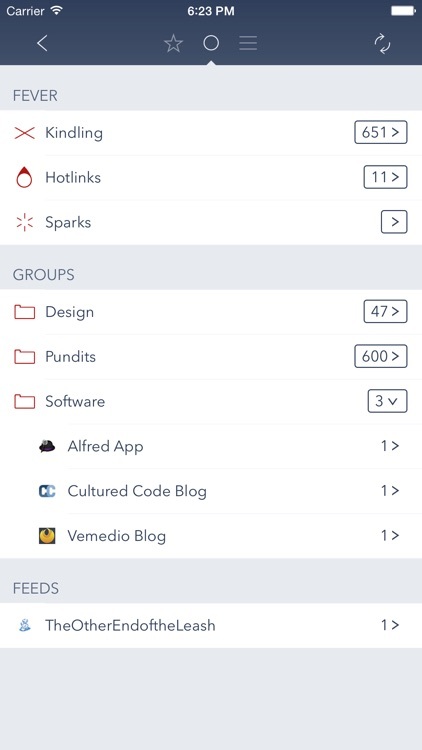 Almost every aspect of Fiery Feeds is customisable. Color Themes, Fonts, Text sizes. If you want a leisurely reading environment, just the headlines, or anything in between, Fiery Feeds has you covered. You can swipe to the next or previous article by swiping horizontally, instead of vertically. This avoids having to scroll down the entire (long) article just to get to the next one. Enjoy long form text in a distraction-less reading experience. Fiery Feeds can mark all articles read by the time the article was published. It’s possible to mark all articles as read, or all articles that are older then a day, week or month. Additionally it’s possible to mark all articles above or below a specific article as read by swiping right on an article to show more options. It is also possible to mark articles as read automatically when scrolling by then in the article list. Fiery can download updates to your feeds in the background so you have them when you need them. 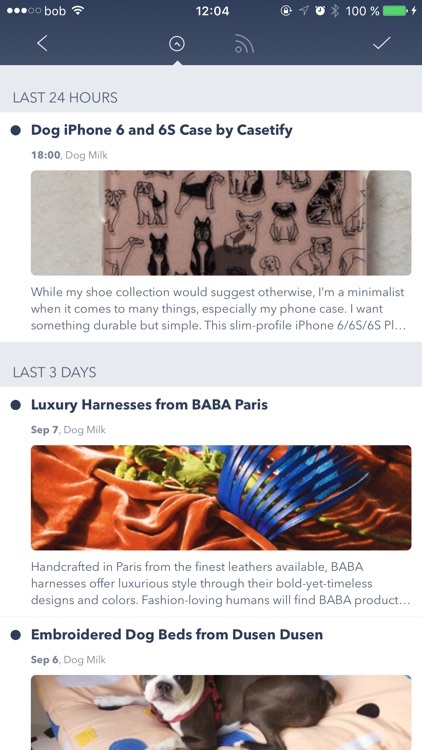 Fiery Feeds now syncs with read-later services as well as feed aggregators. 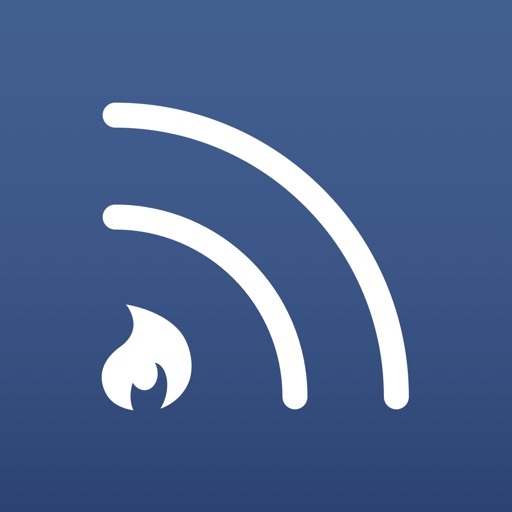 Fiery Feeds, the app that’s touted by its developer as “a feed reader built for power users,” has just received a significant update.